As one experience ends ... Another adventure begins. 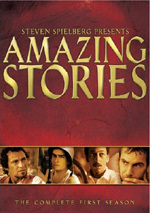 Academy Award-winning writer/director Steven Spielberg presents Amazing Stories, the hit television series featuring a star-studded cast including John Lithgow, Kiefer Sutherland, Tim Robbins, Charlie Sheen, and Kevin Costner. This collection of 24 episodes from the show's first groundbreaking season (which blended mystery, science fiction, and horror) also features direction by many of Hollywood's biggest names. Back in 1985, Steven Spielberg could do little wrong. He was at the top of his game and almost everything he touched turned to gold. I certainly know that I looked forward to all his works, and that meant I � and others � eagerly anticipated Amazing Stories, a new TV series that promised a wide mix of exciting tales each week. Stories would be a real anthology series. It featured no recurring themes or characters. Instead, each episode would stand totally on its own. That made it ambitious and a throwback to earlier series like The Twilight Zone. I don�t think Stories ever lived up to its potential. 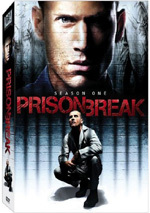 The series lasted only two seasons and never became the hit it was expected to become. It came across as a noble failure. At least that�s how I recall things. More than 20 years after its debut, I figured it�d be fun to re-examine Amazing Stories via this Season One DVD package. I�ll check out the shows in the order broadcast. The plot synopses come straight from the set�s notes. When I look back at why I felt so disappointed by Amazing Stories, I think �Train� stands as Exhibit A. With Spielberg behind the camera, I expected a lot from it, much more than this warmed-over bedtime story can provide. It feels like Spielberg Lite; his signature style is on display, but �Train� lacks the drama or excitement it promises. �Train� is a forgettable launch to the series. �Attraction� comes with a thin premise but it manages to create an entertaining show. It proves quirky and enjoyable as it offers some fun twists. Look to a fine physical performance from John Scott Clough as a highlight of this good program. �Jobe� might�ve been more interesting if it didn�t feel like a spin on Back to the Future. The time-travel premise doesn�t go beyond the predictable fish out of water scenario, especially since Jobe himself is a bland personality. This means that the episode never seems like it�s as much fun as it should be. In the annals of idiotic story premises, �Daddy� may reign supreme. It requires many suspensions of disbelief just to get the actor in the car on the way to the hospital, and all of this becomes too much to swallow at times. That said, the show musters a fun sense of B-movie charm at times along with many allusions to horror classics. It doesn�t soar, but it�s unusual and amusing enough to entertain. Spielberg returns to the directorial chair here, and the results prove more interesting than �Ghost Train�. �Mission� offers a stronger tale with more drama to it, as we don�t know how events will progress. The main problem stems from Jonathan, the bomber in danger. He�s so irritating that I almost hoped he wouldn�t make it. The show also comes with a highly unsatisfying ending. The show provides a reasonably tense and taut tale up until that point, but the moronic conclusion undercuts the prior positives. �Amazing� backs up a clever premise with pretty good execution � to a degree. Like too many of these episodes, �Amazing� suffers from some predictable elements. Despite that, it works as a generally tense and dramatic show. It�s one of my favorites so far. Despite a fun premise, poor production values undercut �Tuning�. The alien costumes and sets all look like they cost about 30 cents. Sure, I suppose the show wants a tacky, minimalist vibe, but it should look quite so cheap and crummy. The program also suffers from an ending chock full of filler. These don�t harm all the show�s fun, but it doesn�t work as well as I�d hope. Perhaps it wasn�t a great idea to run two episodes back to back that feature old-time TV stars. �Magic� works at times, but it comes with an awfully thin plot. Caesar does a fairly nice job as Lou, at least, and his performance helps make the show decent. �Trip� risks faltering due to its goofy concept. Indeed, it does stumble at times as we watch it follow its course. However, a peppy lead performance from DeLuise and a few good gags make it a winner. One of the broader episodes to date, �Control� bears a resemblance to the recent Adam Sandler flick Click. It provides a fair amount of humor and gives us a fun fantasy. Pay close attention for some surprisingly off-color comments such as when we hear a beauty contest lives in a town called �Choke a Chicken�. The concept of how Santa would deal with a cynical, harsh world isn�t a new one; heck, that�s essentially the premise behind Miracle on 34th Street, isn�t it? ��85� doesn�t add a lot to the equation, though it kicks in enough of a twist to entertain. Don�t expect a classic, but the show seems reasonably charming. Darker than most episodes of Amazing Stories, �Vanessa� still includes the requisite amount of magic. Nonetheless, it proves decidedly more dramatic, and that allows it to stand out from the crowd. �Vanessa� is one of the richer programs so far, largely because it�s one of the few that doesn�t feel like a gimmick with a show attached. Zowie � �Sitter� lets us see a very young, very dorky Seth Green. The show has some good moments, mostly when Jennifer uses her magic to get back at the boys. Unfortunately, the show throws out too much chat about mystical concepts and too little action. The most impressive aspect of �Beach� comes from its surprisingly effective black and white photography. The show looks great and aptly conveys the WWII feel. The story itself is less compelling. It�s interesting but its big twist isn�t as powerful as I�d like. �Road� follows its cynical premise with reasonably cold-hearted execution. And that�s a good thing, though the show spices its action with enough comedy to ensure it doesn�t come across as frightfully nasty. This adds up to an effective black comedy and one of the series� better programs. Wow � what a funky concept! Some dude lives his life based on the instructions of a creepy little hairy guy? Does this mean I should�ve followed the teachings of Robin Williams? Odd execution aside, �Acorns� works on an interesting idea: what if we ignored practical pursuits and just lived on our dreams? The ending twist is fairly predictable, but the show is entertaining. Shades of Beetlejuice! �Boo!� beat Tim Burton to the punch by a few years with this story of a non-scary couple who try to evict unpleasant residents. Beetlejuice is funnier, but �Boo!� offers a good time with the subject. �Ben� walks a fine line between being touching and being cloying. Happily, it stays on the right side of that divide. The show pulls of the magical elements well without turning cheesy, and it packs some real emotion. It�s one of the series� best. Scorsese doesn�t usually take on horror stories, so that makes his handling of �Mirror� intriguing. He does a pretty nice job with the material, as the tale creates a taut set of scares. �Mirror� keeps us off guard and presents an effective little thriller, though a silly ending undermines it. Shades of The Truman Show! The two aren�t tremendously similar, though, as �Cinema� prefers to take a darkly comic view of things. It has some good moments, but it eventually collapses under the weight of its own pretenses. In the annals of goofy concepts, the killer hairpiece deserves mention. Kershner maintains just the right overwrought tone for this delightfully idiotic story. It�s a hoot. As a 39-year-old single guy, maybe �Doll� hits too close to home for me to enjoy it. If I ever have a dinner date with a doll, though, that�s when I�ll really get scared. �Doll� is a rough combination of creepiness and sappiness that doesn�t work. �Books� unwinds slowly, but it provides an intriguing tale. I like the idea behind it and we get an interesting theme as it goes. Unfortunately, like too many Amazing Stories episodes, a dopey ending finishes things on a weak note. Since the title alerts us that Grandpa will die, the only potentially interesting elements come after his demise. Some surreal moments add a little pizzazz, but �Ghost� largely follows an expected path. It attempts to deliver emotion but fails, and another absurd ending doesn�t help. 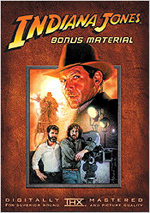 Amazing Stories appears in an aspect ratio of 1.33:1 on these single-sided, double-layered DVDs; due to those dimensions, the image has not been enhanced for 16X9 televisions. Given all the directors and genres covered through these programs, I expected a wide variation in picture quality from one episode to the next. However, the shows looked more uniform than anticipated. That was a good thing since they usually presented pretty nice visuals. For the most part, sharpness looked quite good. Some softness occurred at times, especially during interiors. They tended to be a bit ill-defined, and a little edge enhancement occasionally rendered wide shots as a smidgen iffy. Nonetheless, the majority of the shows were accurate and concise. Only minor instances of jagged edges and shimmering occurred, and source flaws were pretty minor. Sporadic examples of grain appeared, and I also noticed some specks, marks and other debris. However, these were surprisingly modest given the age and source of the material; the shows usually came across as clean. Colors often demonstrated that bland �Eighties� look, but they did okay for themselves. The hues rarely stood out as particularly dynamic, but they were acceptably bright and concise, at least compared to typical footage from the era. Blacks were reasonably deep and firm, but shadows could be murky. Low-light shots tended to display some muddiness and weren�t usually very strong. Still, I felt generally impressed with these transfers, as they made the shows look better than expected. I felt even more impressed by the Dolby Digital 5.1 soundtrack of Amazing Stories. I thought the shows would be monaural, so the multi-channel mix came as a surprise, and the generally high quality of the tracks was even more unanticipated. Of course, the dimensionality of the soundfields depended on the nature of each episode. Some were very quiet and introspective pieces that required little more than stereo music and general ambience. The soundscapes worked just fine for those; the shows never presented audio that tried too hard to dazzle. The bigger action programs broadened well. The titular engine in �Ghost Train� roared through the room, and the meteor in �Main Attraction� zoomed across the spectrum. Other battle sequences usually used the soundfield well, though the Alamo elements in �Jobe� were surprisingly subdued. Nonetheless, I found the mixes to offer nice involvement for the most part. Audio quality was also pretty good. Speech occasionally suffered from erratic localization � some bleeding to the side occurred � and I also noticed a smidgen of edginess at times. Most of the lines were acceptably concise and distinctive, though, and they always remained intelligible. Music was always bright and dynamic, and effects sounded solid too. A few segments demonstrated a little distortion, but I thought the elements mostly were accurate and bold. There was good range to the material and loud elements packed a nice punch. Given the source and age of the shows, I thought they were well above-average for their era and genre so the tracks earned a �B+�. All of the set�s extras come from its smattering of Deleted Scenes. These accompany 12 episodes: �The Main Attraction� (one scene, 19 seconds), �Guilt Trip� (one, 0:40), �Remote Control Man� (two, 0:43), �Vanessa in the Garden� (two, 3:45), �One for the Road� (one, 1:00), �Gather Ye Acorns� (one, 0:33), �Boo!� (one, 0:21), �Dorothy and Ben� (one, 1:32), �Secret Cinema� (two, 2:57), �The Doll� (five, 2:06), �One for the Books� (two, 0:54) and �Grandpa�s Ghost� (five, 6:22). As you can likely infer from the brevity of the clips, most of these are pretty insubstantial. Some fun pieces emerge such as more of the romance from �Guilt Trip�, but the majority don�t give us a lot of material. Exceptions come from a few sources. �Garden� offers an extended piece that would have followed Vanessa�s funeral; it�s interesting, though it telegraphs the story�s twist. We also geta long piece from �Grandpa�s Ghost� in which the old man tries to coach his grandson on how to be more assertive with girls. Despite the smattering of exceptions, don�t expect a lot from the clips. They�re interesting but not substantial. Back in the Eighties, Amazing Stories never quite seemed to live up to its potential. Viewed 20 years later, the shows vary in quality. Some shine brightly, others meander and lack an impact. Overall, the series has enough hits to be generally entertaining. The DVDs present pretty good picture and audio. They lack substantial extras, though the deleted scenes are fun. I can�t throw a strong endorsement behind Stories, but I think it�s a good package for the most part.